Valerie Alabanza-Cary has spent her entire legal career helping global Silicon Valley giants such as Juniper Networks, SAP, and Sun Microsystems bring innovative products and technology to market. But it was at Sun Microsystems that her passion to support diversity efforts was first fueled, when she became a member of the company’s diversity council and began leading subcommittees with various diversity goals. Then, in 2010, Alabanza-Cary was hired as an intellectual property (IP) and patent counsel director for Juniper Networks, a global corporation that uses innovative technologies to help customers connect their ideas to the world. While Juniper was happy to hire her for her legal and IP expertise, the company was equally happy to engage her continuing passion for diversity and inclusion. Among the strongest factors that attracted Alabanza-Cary to Juniper were the company’s five core values: be authentic, inspire trust, deliver excellence, pursue bold aspirations, and make a meaningful difference. Together, these have been deemed the Juniper Way. Alabanza-Cary’s work ethic and high personal standards made the excellence and difference values easy to achieve, which in turn helped her inspire trust. Being authentic and pursuing bold aspirations have been her guides with regards to the ongoing Legal Authenticity & Inclusion Program within Juniper Networks’ legal department. As the first advocate for diversity in the legal department, Alabanza-Cary created the mission statement and initiatives for the program. Its goal is to promote the development of an inclusive environment that recognizes and respects the uniqueness of the legal department’s members and further enables their contribution toward the accomplishment of the department’s goals. The program focuses on initiatives that will enhance the career development of legal department employees, outside counsel outreach to help ensure commitment to diversity, and student outreach to help those interested in a career in law and deepen Juniper’s commitment to the future. In the intervening six years since the program’s inception, Juniper’s Legal Authenticity & Inclusion Committee has made significant progress toward its goal by implementing programs in unique focus areas, including student outreach, a variety of speaker series, and outside counsel outreach. At several area high schools, students are given information about law practice in general, including the variety of specialties becoming available. Additionally, Alabanza-Cary has dedicated time to diversity pipeline efforts by participating on the leadership committee with the Bar Association of San Francisco and USF, which helped launch the Open Doors 1L Spring Break Job Shadow Program with multiple law schools in the Bay Area (Juniper was an employer host for the program). Juniper Networks aims its message at all students, and it hopes to inspire students from a diverse range of backgrounds who may not have previously considered law as a profession. Alabanza-Cary spearheaded the job-shadow program’s annual law student mock interview and résumé workshop, encouraging minority and female law students to come to the Juniper campus and network with members of its legal department. Those students even had the opportunity to get résumé advice from Silicon Valley legal recruiter Susan Tien, of Susan Tien Search. Alabanza-Cary has also implemented her department’s summer law student internship program and hosted high school shadow days. Juniper has since hired law students from its internship program as full-time employees in its legal department. A “Day in the Life” speaker series is another initiative that Alabanza-Cary has helped spearhead after first encountering a similar program as part of the Sun Microsystems Diversity Council. The series invites members of the Juniper legal department to speak to their team about not only their jobs and roles in the department but also their career paths, their heritage, their uniqueness, and why they love what they do. The speaking sessions are held multiple times throughout the year and rotate through different legal groups and individuals worldwide. There is also the external speaker series, which invites professionals from a wide range of backgrounds and sectors to engage and enlighten the team at Juniper Networks and share their stories. They also address social or psychological concerns and offer career development tips on topics such as communication between genders, executive presence, body language, and mental conditioning. All in all, the efforts of Alabanza-Cary and the Juniper legal team have attracted favorable attention. They were awarded the Corporate Legal Diversity Award from the Asian Pacific American Bar Association in 2012 and have won both the Equality and Quality of Life awards from The Recorder, a San Francisco-based online legal publication first published in 1857. The Recorder also named Alabanza-Cary among its Top 50 Women in Technology Law in 2014, recognizing her for legal accomplishments and leadership. That same year, she also received the Minority Bar Coalition Unity Award for her dedication to the imperatives of diversity and inclusion in the legal profession. By all accounts, Alabanza-Cary is continuing to blaze trails—in the Juniper Way. 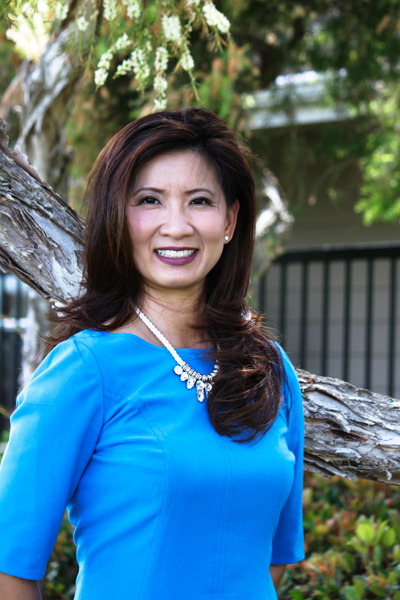 Since 2009, Valerie Alabanza-Cary has been passionate about devoting her time outside of Juniper Networks and SAP to the Asian Pacific American Bar Association (APABA) of Silicon Valley. She has been a board member and an in-house committee co-chair of the organization and has put together annual networking events and continuing legal education on career-development topics and substantive topics of interest. She has also helped create and implement APABA Silicon Valley’s in-house lunch series, during which small groups of attorneys have networking lunches and get a feel for what it’s like to work at various companies in the Bay Area. In addition to being a mentor to many law students and junior attorneys, Alabanza-Cary has also helped launch APABA Silicon Valley’s Bay Area APA in-house networking group, which boasts more than three hundred members and is a rich resource for networking, sharing best practices, and conducting career-development and job searches.